Here is a sneaky peak preview from the first wedding of this year, Holly and Mark’s wedding at the always lovely The Green near Liskeard, Cornwall. January weddings are always fun. For wedding photographers in Cornwall and wedding photographers in Devon, a big wedding is always a fantastic way to start the year. Holly and Mark’s was no acception. Weddings on Bodmin Moor always have a mystical feel to them. In the middle of winter, the weather can make it challenging for a wedding photographer. 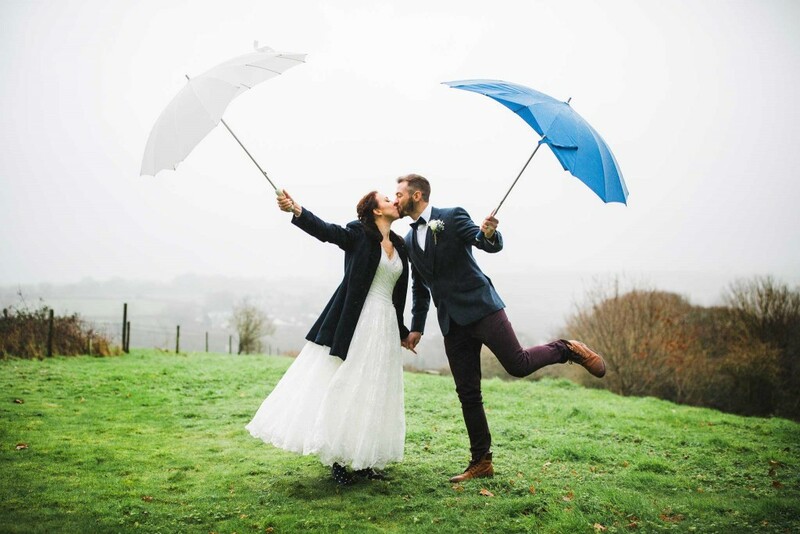 But, hopefully, this photograph of the bride and groom show that, despite the rain, there is still plenty of wedding day magic.